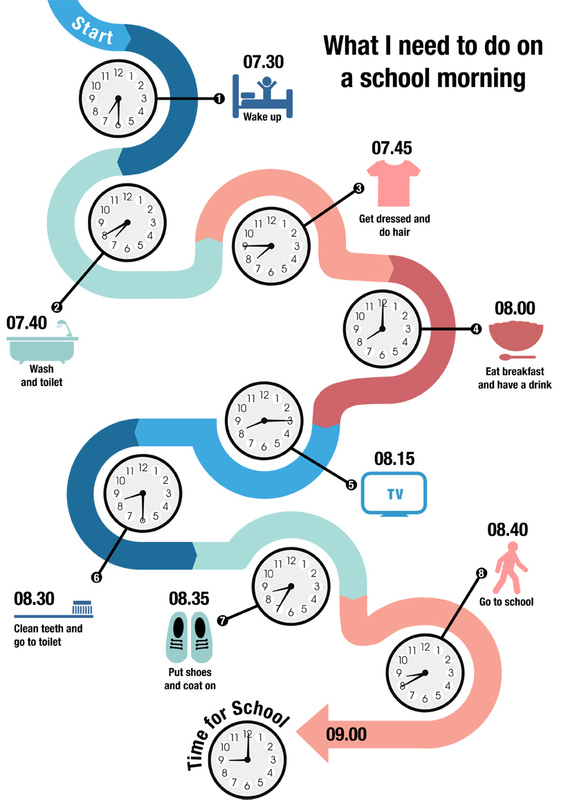 A fun infographic designed for 4-10 year olds to help them understand the order activities need to be completed in order to get to school on time. Designed around a coloured timeline and uses both analogue and digital clocks along with icons and words at each stage. Contact us for customisation options.